Reminder Announcement - Tophatter! | A Blackbird's Epiphany - UK Women's Fitness and Fantasy Writing Blog: Reminder Announcement - Tophatter! 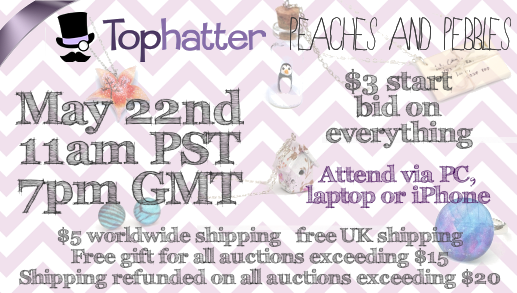 My Tophatter auction starts 11am PST / 7pm GMT on Wednesday the 22nd. Don't miss it! Every item has a $3 start bid, with free shipping in the UK, and $5 shipping worldwide. Shipping is refunded on all auctions of $20 or more, and a free gift thrown in on any auction of $15 or more. 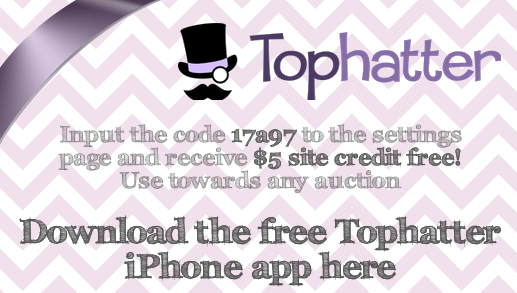 If you download the iPhone app, you can get $5 free Tophatter site credit for use in any auction! Just add the code '17a97' to the settings page and enjoy a free bid or two!